After launching an elevated pair of Teva sandals for the summer, Hong Kong’s MADNESS teams with Converse for a pair of half-and-half Chuck Taylor All-Stars. 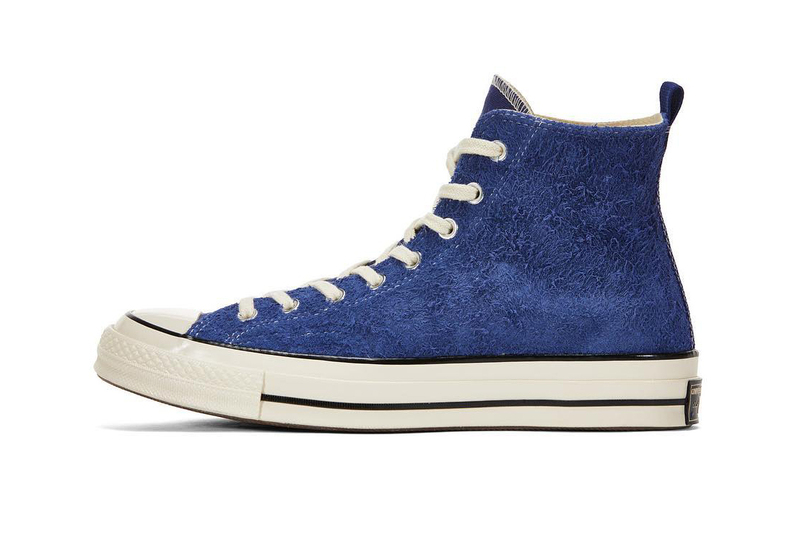 The lateral side of each blue sneaker sports hairy suede, while the opposite end offers a sturdy canvas, where the circular Chuck Taylor branding resides. Aside form the textural contrast, the sneaker maintains tonal detailing throughout, complemented by contrasting white midsoles and laces, with a rear pull tab allowing for easy access. MADNESS will host a raffle for the sneakers on its website from October 15-17. Most recently, Converse joined Kinfolk for an exclusive pair of collaborative Lucky Star sneakers. Get ready for Theo Impala. More merch from La Flame. Along with a mastermind WORLD collaboration.